Since a swap meet is different than a garage sale, the most important aspect of your planning process is going to be advertising. It is important to make it clear to your audience that you are holding a swap meet, not a garage sale, and that they will be expected to bring items which they are willing to swap. The internet (especially social media) provides a good place to advertise, with local groups serving as your ideal targets. 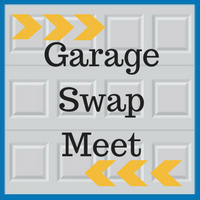 Frequently posting about your swap meet will raise the awareness of your upcoming event and also allow for a place in which people can ask you questions if they are interested in attending. Since they are usually the largest items you will have at your event, items like lawn and sports equipment should be put on display closer to the street so they can be seen by passing cars. This open area also allows for room to move around these items and examine them in detail. Meanwhile, the finer items, such as kitchen items and clothes, can be kept inside your garage. This will allow people to examine them in the comfort of a shaded area and keep you in a position to easily manage the entire swap meet. Finally, it is time to negotiate. Bargaining for merchandise can be difficult at times, but you can never go wrong if you know your price and stick to it. Make sure to be friendly and polite as you discuss making swaps, and you can even set up an additional sale on the side for items that cannot be swapped. 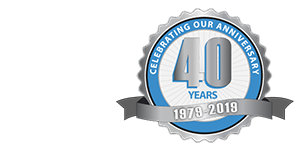 If you find yourself in need of further assistance while you arrange your swap meet, please contact our garage experts at Blue Sky Builders today. For more information and tips about garages, visit us online at www.blueskybuilders.com or call us at 630-852-8485.